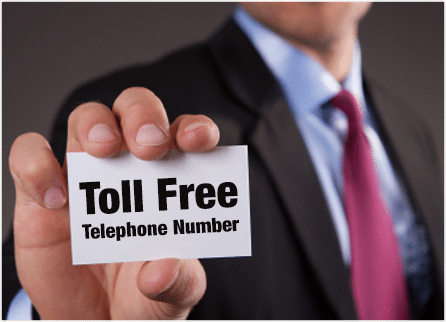 Why You Need a Toll Free Telephone Number & How to Get One. It’s 2018, does your business need a toll free telephone number? Yes. Here at UniTel Voice, we sell both toll free numbers, as well as local numbers, but we’d still recommend using a toll free phone number as your primary business number for the same reasons you should use a professional email address. It is true that giving your customers the ability to call your business toll free is no longer that important, however, outside of branding, there are still some operational benefits you get from using an 800 number. Chief among those is number portability, which, in addition to the marketing benefits, we’ll explain that works below. When it comes to courting a lover or closing a customer, as they say, first impressions are everything. Because toll free telephone numbers are so widely used by established businesses, if you’re not using one, the first impression you’re going to make is inexperienced, or worse, you’re not a real company. For small business owners and startups, projecting a professional first impression can mean the difference between making and losing a sale. Unfortunately, scam artists do exist and many robo-call scammers and telemarkers use local phone numbers to scam or spam people’s phones. Using a toll free telephone number not only gives your business a nationwide presence it sense of security and reassurance to your customers that your business is legitimate. Just like having a professional email address and a good looking website, having a vanity toll free number is another great way to re-enforce your brand. A custom 800 number can help re-enforced by either spell your company’s actual brand name (e.g., 1-800-XFINITY) or by spelling a word or phrase related to your company’s value proposition (e.g., 1-800-EZLOANS or 1-800-FIXROOF). In both cases you can only do this with toll free telephone numbers as local vanity numbers aren’t readily available. One of the lesser-known facts about toll free phone numbers is that unlike local numbers they have special FCC portability rules that ensure your phone number won’t go down by making it extremely easy to move your from one network provider to another. With local numbers it can take several weeks to port a number and in some cases, you can’t port your number for technical reasons or simply because your phone company refuses to process your transfer request. Number portability is critical because time is money when your business phone line goes down. This is the real reason toll free numbers are still so popular with Fortune 500 companies and (unbeknownst to many) are a part of their business continuity plan. The good news is with virtual phone system services like UniTel Voice, getting a toll free number is cheaper, faster and easier than ever before – and businesses of any size can benefit from their use. Need a Great 1-800 Phone Number? We Can Help!